Since 1964 APSCO has manufactured pneumatic cylinders, controls and valves for the mobile, truck equipment and automotive markets. Our experience, innovation and dedication to customer service; position us as an authority on air power. Although we have been an active member of the industry since 1964; we are constantly evolving and addressing the needs of our customers. We take pride in our ability to meet the challenges of our industry, providing innovative solutions. AA-MRO is the commercial arm for the American Airlines Maintenance and Engineering Division. Our commitment to our customers is three-fold and straightforward: Provide reliable, long-term maintenance services, handle each customer's equipment with the same excellent care, be competitive with any global MRO on total product value. AA-MRO delivers what other vendors could never provide: a highly motivated workforce with unique insight into the challenges of running the world's largest airline. Our engineering capability is one of our invaluable core strengths, allowing us to provide a wide range of technical services with superior quality, efficiency, turn time and reliability. Which makes us more than competitive with any MRO provider. In fact, AA-MRO is your one-source shop, and the answer to all of your maintenance needs. From wheels and brakes to engines and airframes, the maintenance and engineering employees of AA-MRO provide the highest quality and quickest turn times. Which allows you to return aircraft back to revenue generating service sooner. Muncie Power Products is a leading manufacturer of power take-offs (PTO), hydraulic components such as pumps, motors, cylinders, valves and reservoirs, and other products. The mission of the company is to provide quality products and services that will satisfy the needs and expectations of our customers. We are committed to the continual improvement of our products and processes to achieve our quality objectives, minimize costs to our customers and realize a reasonable profit that will provide a stable future for our employees. Progressive Stamping exists to make your job easier. For over 25 years, Progressive Stamping has done custom manufacturing in steel, both hot dipped galvanized and galvannealed, aluminum, copper, and other metals. Our customers come from a variety of industries, including automotive, trucks, HVAC, energy, medical, agriculture, construction, and gaming. Our mission is to collaborate with you, solving production issues including part design and tooling, providing consistent quality per your specifications, and resolving delivery and inventory challenges so you may be more successful. Malarkey Roofing Products is a Portland, Oregon based roofing manufacturer that provides performance-driven residential, commercial, and sustainable roofing solutions with unparalleled service and integrity. Since 1956, Malarkey Roofing Products has consistently valued innovation and is motivated to provide products that are committed to sustainability through long-term solutions, creating value for customers and business partners. Centek designs, markets and manufactures innovative oilfield centralizers and stop collars and began operations in Oklahoma City in 2012. When drilling oil and gas wells it is vitally important to ensure that no contamination of ground water occurs through good zonal isolation of the casing string. Good centralization is crucial to achieve this. Centek’s products provide the best centralization in the industry resulting in an excellent cement sheath in the borehole thereby helping to protect the environment and optimize well production. We provide our customers with piece of mind through exceptional service and quality with a product that never fails, helping America achieve energy independence. At the heart of our success is our culture. We believe if we do right by our people, success will follow, and it has. Our company culture is built on family, trust, teamwork, empowerment, mutual respect, integrity and opportunity. Our commitment to our core values goes beyond our four walls as we are also active supporters of our community. At Centek, our pursuit of excellence drives our continuous improvement philosophy, and our training, education and development of our employees. These essential elements are the foundation of our achievements which are being recognized as examples of enterprise excellence, as demonstrated by numerous requests for visits, plant tours and presentations. OCV is a company that is a global leader in the control valve industry. OCV valves can be found in some capacity in nearly every country throughout the world. Our markets include: waterworks, fire protection, irrigation, industrial, petroleum, aviation fueling and mining. With over 50 years experience in the design, manufacturing and application of control valves our focus is to provide the best valves with the finest customer service. This is evident by the fact that OCV Control Valves is ISO 9001 certified. Our valves meet and exceed industry standards from around the world. M & M Manufacturing mills, fabricates and manufactures a variety of products for various different industry needs. Recently, we attained AS 9100/ISO 9001 certification​. We specialize in CNC milling and turning, modeling and product support, inspection, calibration and fabrication support. NPI has the product knowledge and technical support to help with your specific applications. From selection of materials to in-house design services, we will meet your project objectives while exceeding your expectations. NPI is committed to providing printed identification products that meet or exceed our customers’ quality expectations through continual improvements and compliance to standards. To be the customer’s complete solution in branding and production identification, friendlier and faster than the competition. To create a culture of continuous improvement, employee empowerment, and waste minimization. To do more with less. To create value and have fun at the same time. To provide quality products at a competitive price. To provide real solutions to every customer. To provide a family-oriented work environment with comprehensive benefits to every employee. To carry on the family legacy of value with honor and integrity. M-D Building Products, Inc. has a rich history of product development and manufacturing expertise. Beginning in 1920 as Macklanburg Duncan, the M-D story encompasses over 90 years of inventing and manufacturing products demanded by our customers. Our products are industry leaders or contend for industry leadership in the categories of weatherization, flooring tools, flooring accessories and digital levels. Founded in 1972, Covington Aircraft is a world-leading aircraft engine maintenance, repair and overhaul facility specializing in the PT6A turbine engine and R-985 and R-1340 radial engines. We are a Pratt & Whitney Canada certified Distributor and Designated Overhaul Facility (DDOF), and provide world-class corporate and agricultural aircraft service. PACCAR is a global technology leader in the design, manufacture and customer support of premium light-, medium- and heavy-duty trucks under the Kenworth, Peterbilt and DAF nameplates. PACCAR also designs and manufactures advanced diesel engines, provides financial services, information technology, and distributes truck parts related to its principal business. We are a global leader in transforming natural gas into nitrogen. The chemical processes we use ensure we have the nitrogen we need to support life on earth - from fertilizer that feeds the crops that feed the world to products that remove harmful emissions from industrial activities. Fintube is a leader in heat transfer technologies providing highly engineered products to a wide range of industries where high performance heat transfer equipment is required. Headquartered in Tulsa, OK, we have fifty years of leadership in providing heat recovery units, installed around the world. Founded in 1991, Video Gaming Technologies, Inc., is a leading North American developer, manufacturer and distributor of casino games for the Class II (Native American bingo-based gaming) and emerging markets. The company has more than 20,000 terminals in more than 140 locations in the United States. The VGT difference provides exciting game titles that generate intense customer loyalty, deliver record-setting gaming revenues and ensure some of the highest uptimes in the industry. We are a diversified global producer of fabricated metal products and are a leading producer of steel and aluminum pole, tower and other structures in our Engineered Infrastructure Products (EIP) segment, steel and concrete pole structures in our Utilities Support Structures (Utility) segment and are a global producer of mechanized irrigation systems in our Irrigation segment. We also provide metal coating services, including galvanizing, painting and anodizing in our Coatings business. www.bigelk.comBig Elk Energy Systems LLC was founded to bring the best possible talent and service to the energy industry. Our team has decades of experience in engineering, systems design, piping layout, drafting, and electrical and control systems. Our experience and first class workmanship allow us to bring the best solution to your project, on time and fully realized. Measurement systems: Meter tubes and skids of all types. We can integrate and package complete systems that include gas analysis, flow and pressure control, valve automation, and any other features you may require. Pigging: Fabrication of pig launchers and receivers, both barrels and complete systems. We can build to a wide variety of specifications. Big Elk specializes in automated sphere launching systems that include valve automation, sphere status reporting, and custom PLC programming, all of which can be controlled locally or remotely. Fuel gas skids: Our piping design experience allows us to put together all the components required to condition gas for various fuel applications into an intuitive and economical package, no matter how complicated your P&ID may seem. Electronic flow measurement (EFM) and gas quality analysis: Our personnel have years of experience designing and building EFM and GC buildings to fit any application. We can build based on your standard package, or design one for you taking into consideration your project requirements and environmental conditions. 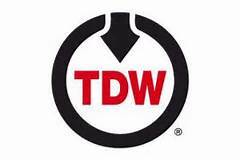 North America’s foremost provider of innovative tubing solutions for the chemical, petrochemical, oil and gas, power generation, industrial, agricultural, and other industries. D&L Oil Tools designs, manufactures, and assembles downhole equipment for customers in both domestic and international markets. Headquartered in Tulsa, Oklahoma, our tradition is one of quality, affordability, customer service, and community investment. Our high-quality equipment, customer satisfaction, and the well-being of our employees are the cornerstones of our business. We devote ourselves to solving customers’ problems and enriching the lives of our employees. The Pump & Motor Works, Inc. Whether you need your equipment repaired or built from scratch, we are always ready to provide you with the most responsive emergency service, detailed analysis of your product and the most complete and comprehensive report. We utilize the latest in cutting edge technology to make processes more efficient and product quality second to none. Evaluating systems, 3D modeling, Finite Element Analysis, and prototyping are only a few of the services we offer. Headquartered in Atlanta, Georgia, USA, CP Kelco is a leading producer of specialty hydrocolloids with offices and facilities across the globe. Featuring an extensive range of specialty hydrocolloid solutions, CP Kelco leverages its capabilities to bring concepts and ideas to real-world products in a broad range of applications. Thompson Pump is known worldwide for manufacturing an innovative line of high quality, heavy duty, high performance pumps. Pumps range in size from two to eighteen inches. Thompson Pump sells and rents its entire line of pumps in the areas of construction, municipal, mining, oil and gas, plants and refineries, and environmental remediation. What we do goes beyond glassmaking. We find incredible meaning in all the small things that create enriching experiences for customers and consumers alike. Everything we do – creating, customizing, shipping, collaborating – we do with your best interests in mind. Each solution is the result of a thousand-and-one details coming together in brilliant succession, thanks to a team of experts that do whatever it takes to make life easier and more enjoyable. Callidus Technologies L.L.C. provides total solutions for process heater burners, flares, flare gas recovery systems, thermal oxidizers and selective catalytic reduction units (SCR’s). Headquartered in Tulsa, Oklahoma, USA, Lufthansa Technik Component Services offers a comprehensive bandwidth of services for aircraft components. With its three locations throughout the United States, the 100-percent Lufthansa Technik subsidiary is dedicated to serving customers with a skilled workforce of about 400 in North and South America. Allocated according to specialization in fields of Production, Customer Service and Sales, every office builds a Center of Excellence. Advantage Controls is a family owned and operated enterprise. We were founded in 1994 with the basic belief in providing exceptional value to our customers. Our product line has grown from the initial offering of simple analog controllers, to the most complete line of equipment available for the industrial water treatment professional. We can provide the most basic of accessory items or a complete, ready to install prefabricated package, and everything in between. McElroy Manufacturing's mission is to be a growth- and profit-oriented company dedicated to our people, our customers and our community. McElroy is committed to providing innovative, quality products and services throughout all of our product offerings. Our dedication drives the values that we strive to live up to daily at McElroy. We hold teamwork, innovation, accountability, integrity, mutual trust and respect, and a desire to continuously improve our quality above all else. We are also very customer-centric, aspiring to make the McElroy experience the best it can be for all of our customers. We design, create, install, and maintain cathodic protection systems and pipeline integrity solutions with world-class service and attention to detail. Our goal is to SAFELY provide the best solution for your problem using our highly-qualified team. As a nationwide organization, we offer a superior CP material selection, groundbed design and installation, ECDA, ICDA, DCVG, ACVG, AC Mitigation, CIS, bell-hole inspection, stray current analysis, and VpCI solutions. Leading the world in essentials for a better life. That's what Kimberly-Clark is all about.We place consumers at the center of everything we do. Billions worldwide choose our products to make a positive difference in their lives. That's a big responsibility and one we take seriously. Alfa Laval ACE air cooled exchangers provide unmatched cooling performance for the entire oil, gas and power supply chain. For over 50 years, our air cooled exchangers have been custom-designed for upstream, midstream and downstream applications in the gas compression and gas processing markets. Your grocery store for metals! Alro is a distributor of metals, industrial supplies, and plastics. Beginning in 1948, Alro Steel was incorporated in a small garage in Jackson, Michigan. The name "Al-Ro" was derived from the first two letters from brothers Al & Robert Glick. Al began the company during a steel shortage in the 1940's which was due to the military demands of World War II. Al found a niche matching up companies with steel needs to companies with excess steel. Today, Alro has grown to over 60 locations in 12 states. Allied Motion Technologies Inc. (“Allied Motion” or the “Company”) is a global company that designs, manufactures and sells precision and specialty motion control components and systems used in a broad range of industries. While we serve a very broad base of industries, our primary target markets are the Vehicle, Medical, Aerospace & Defense, Electronics and Industrial markets. Our products and solutions support a wide variety of applications in these markets and include brush and brushless DC motors, brushless servo and torque motors, coreless DC motors, integrated brushless motor-drives, gearmotors, gearing, modular digital servo drives, motion controllers, incremental and absolute optical encoders, and associated motion control-related products. Enovation Controls, LLC combines the wide-ranging control and display capabilities of the Murphy brand with the extensive engine control expertise of the EControls brand to provide customers with a complete solution approach for engine control, protection and monitoring. SWEP is a world-leading supplier of brazed plate heat exchangers for HVAC and industrial applications. Designed to make the most efficient use of energy, material, and space, the technology is quickly winning ground around the world, with SWEP at the forefront of developments. Oseco manufactures rupture discs, explosion vents, and other pressure relief products. Oseco's intelligent pressure relief systems protect people, plants, processes and the environment across the globe. As a leader in technically advanced pressure relief products, Oseco delivers unique design, testing and consultancy services for pressure management. Tactical Electronics has been a reliable resource in providing law enforcement agencies and trend-setting military groups with the technology and training needed to excel in real-world challenges. Whether we’re designing tactical camera systems and EOD equipment, teaching multiple-levels of EOD and electronics courses, providing R&D services, designing and manufacturing IED training aids, or creating Unmanned Aerial Systems, our ultimate goal is to protect those who protect us. Total Valve Systems is your one solution for all your demanding valve and gauge applications in your facilities, for on-site and in-house service for all brands of pressure relief and all types of process line valves. Coupled with this service work, our full line of in-house manufactured custom valves includes excess flow valves, isolation valves and check valves. We ensure that our technicians are highly trained and experienced. Total Valve Systems is proudly supported by the VR, UV and NB Certificate of Authorization from The National Board of Boiler and Pressure Vessels and ASME. We are a Design, Development and Manufacturing firm producing commercial environments with a special focus on fixture related products for the retail and high end Hospitality Industry. We have a broad base of experience serving retailers, brand marketers and architectural design firms. Tristar Glass is your glass fabrication source for architectural and interior annealed, tempered and laminated glass. From tempered glass curtain walls to laminated glass canopies, architects, engineers, interior designers and glaziers know they can count on Tristar Glass for quality glass fabrication. delivery and exacting quality at a an affordable price. Among the products made by Pelco Structural, LLC are utility poles, lighting poles, communication poles, and traffic poles. 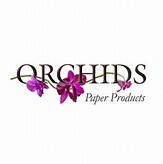 Orchids Paper is a leading manufacturer of paper towels, bath tissue, and paper napkins. We provide a range of products, including AFH (Away from Home), branded, and private label, in retail and commercial markets. At Orchids Paper, we specialize in manufacturing bath tissue, paper towels, and paper napkins to enable private-label products to compete directly with major national brands. If you want a private-label product that matches national-brand specifications, or you wish to create your own unique item, Orchids Paper is your trusted partner. We focus on the latest trends and innovations in the industry to ensure your brand is delivering excellent quality and value compared to the national brands. Professional Image 3D harnesses the power of 3D Scanning, 3D Design and 3D Printing to make your prototype a reality. 3D printed models enable you and all others on your design team to make educated decisions resulting in fewer changes, better product designs, and lower costs giving you a valuable edge in a very competitive marketplace. Drawing on its in-depth technical expertise and industry experience, our Tulsa location provides technology, engineering, procurement and construction (TEPC) to traditional and emerging industries in the gas processing, refining, petrochemical, and deep cryogenics sectors. Linde Engineering North America (LENA) in Tulsa, OK, formerly Linde Process Plants, Inc. is a subsidiary of the Linde Engineering Division. The Tulsa location is the operational headquarters for administrative and operational services, and is a hub for the Linde Global Procurement organization. 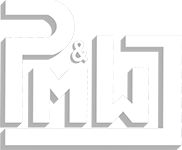 Founded in 1998, Metal Building Industries began as a component supplier for metal building installers in the greater Northeast Oklahoma area. In 2005, MBI expanded into roll-forming metal studs and track and added structural steel fabrication capabilities in 2008. Today, MBI offers a variety of services including design, engineering, manufacturing and installation of various steel framing systems.